Get Ready To Be The Center Of Attention. People ride cruisers for two big reasons: the way they work, and the way they look. 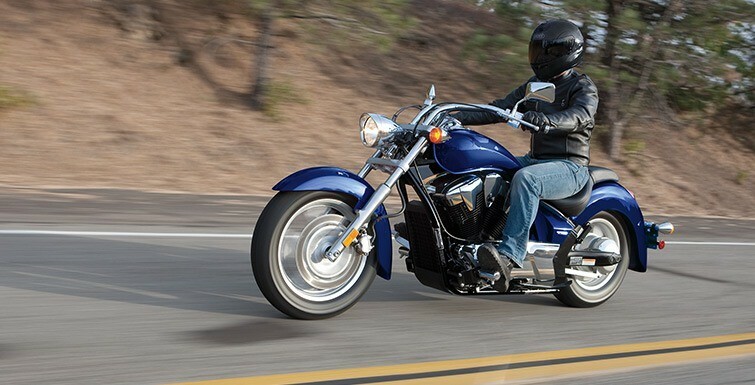 Around town and on the road, the relaxed, stretched-out cruiser style is not only comfortable, but it makes sense too. And the way they look—cruisers turn heads everywhere, even when they’re parked. 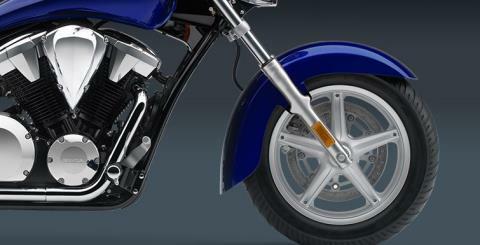 That’s especially true of the Honda Stateline. With its stretched lines and progressive styling, it really stands out. With its 1,312 cc V-twin engine, shaft final drive, disc brakes and fuel injection, it’s as modern and trouble-free as any Honda out there, and you know how good that feels. You see a lot of cruisers out there that have too much junk hung all over them. Not the Stateline. Its streamlined good looks really set it apart. And the way it rides? That puts it even further ahead of the pack. 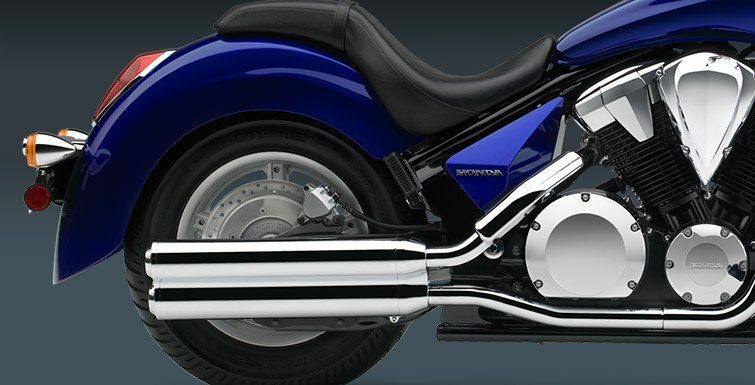 RETRO-PROGRESSIVE STYLING: Like its Sabre and Fury cousins, the Stateline with its chopped dragster look, beefy V-twin and long, neo-design fenders, is one of the most authentic, radically styled custom motorcycles that Honda has ever produced. FIVE-SPOKE CAST WHEELS: Silver-finish five-spoke wheels never go out of true, are easy to keep clean and just plain look right on a sharp, contemporary cruiser like the Stateline. WIDE, LOW-PROFILE TIRES: Big, fat and bad to the bone, the Stateline’s wide, low tires do more than just look good—they are the basis for the Stateline’s excellent handling. 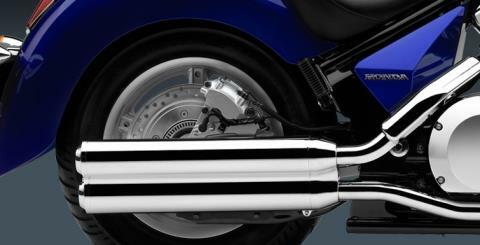 Exactly what you’d expect from a Honda cruiser. 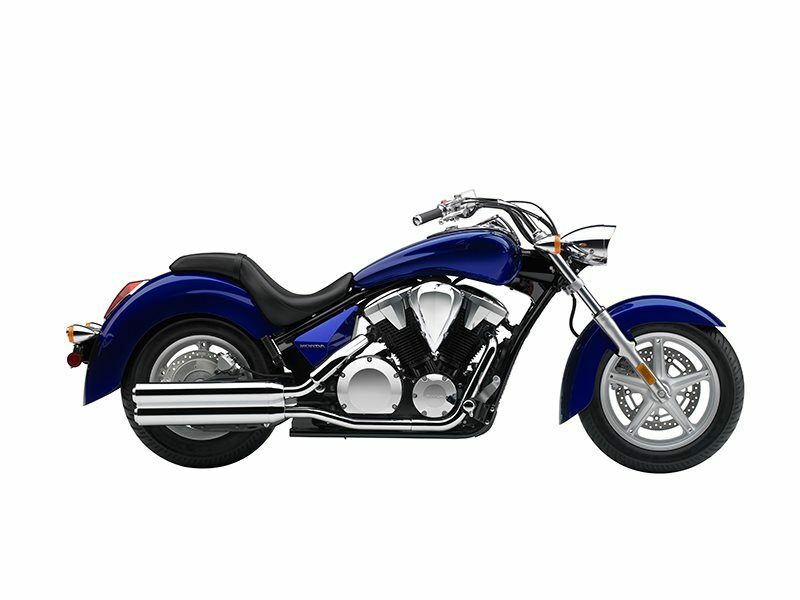 1312CC V-TWIN ENGINE: Powerful 1,312 cc, 52-degree V-twin engine with a single-pin crankshaft and dual balancers has plenty of torque, and the feel only a V-twin can deliver. PROGRAMMED FUEL INJECTION (PGM-FI): Forget about fiddling with a choke—the Stateline's fuel injection system means no-hassle startups on cold mornings or at high altitudes, and optimal performance in any condition. TANK-MOUNTED INSTRUMENTS: Part of the Stateline’s super-clean look comes from mounting the instruments in a streamlined, modern tank nacelle. It completely opens up the handlebar area, yet still gives you all the information you need. LOW-SLUNG SADDLE: Measuring in at an ultra-low 26.7 inches, the Stateline’s wide, one-piece, deep-dish seat not only beefs up the comfort level, but the classic styling as well. 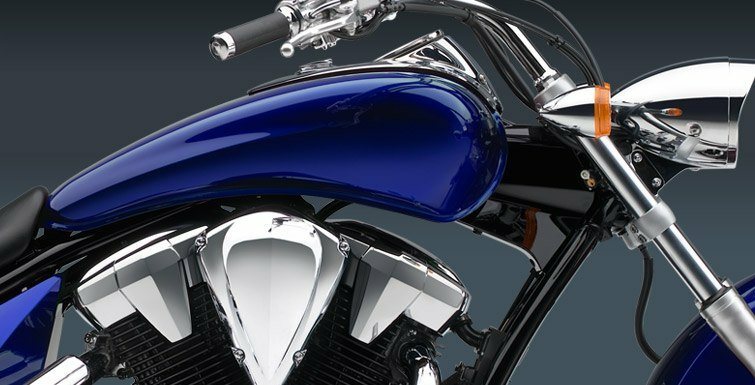 FULL VALANCED FENDERS: Those long, full-coverage fenders with their deep side valances are purely modern, but pay tribute to some of the classic cruisers of old. That combination of classic and new is what the Stateline is all about. FRONT AND REAR DISC BRAKES: A single 336 mm disc / twin-piston caliper unit up front and 296 mm disc / single-piston caliper setup in back ensure the Stateline can reel itself in when needed.